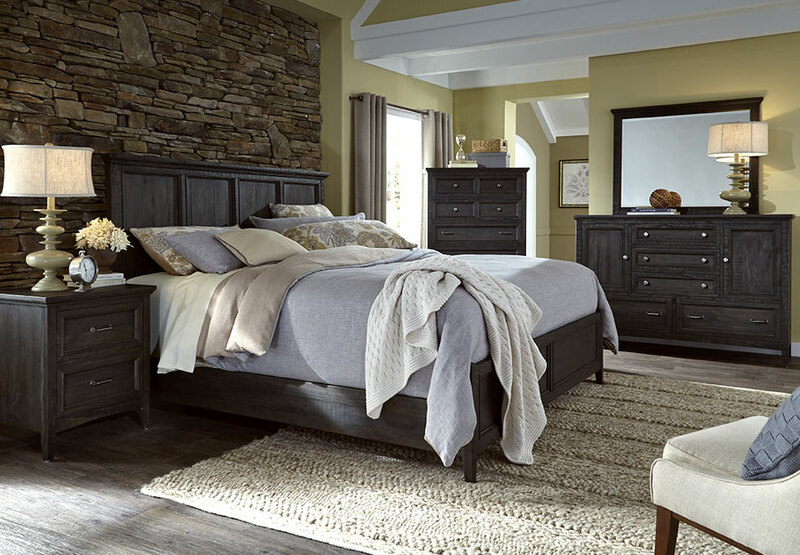 Magnussen Mill River 3 Piece Queen Bed Set, Weathered Charcoal Finish. Includes: Headboard, Footboard, and Rails. 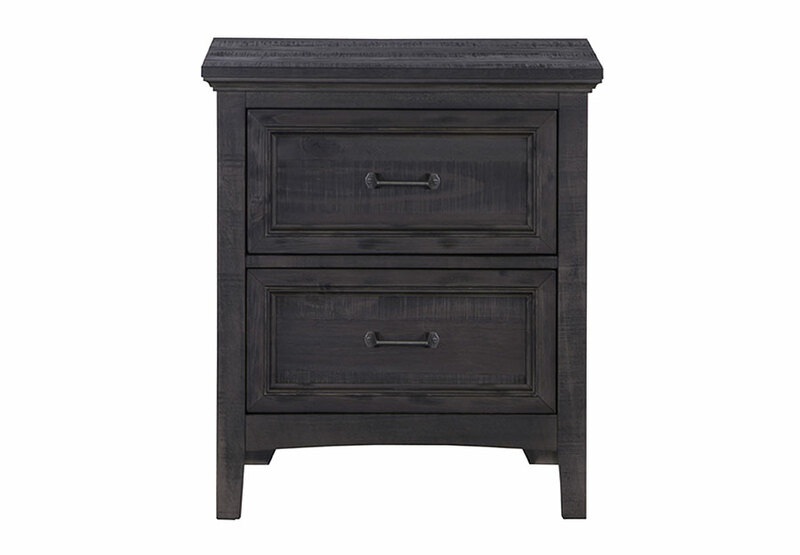 Magnussen Mill River Drawer Nightstand, Weathered Charcoal Finish. 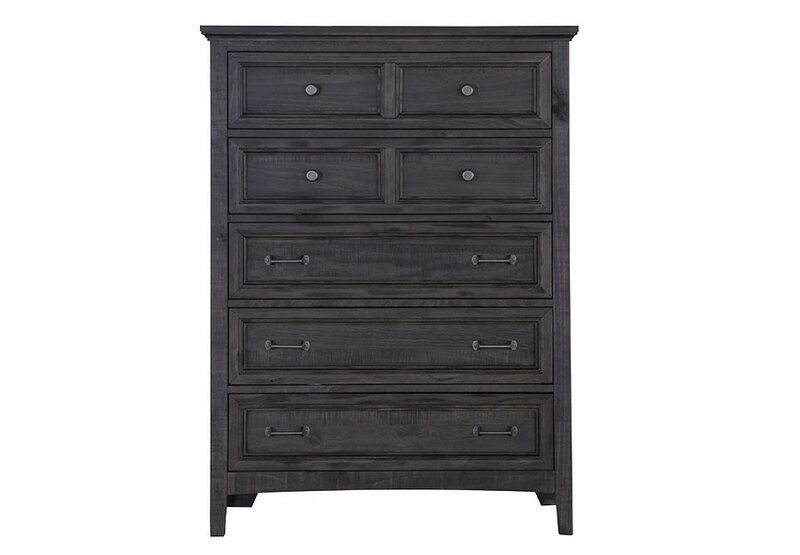 Magnussen Mill River Five Drawer Chest, Weathered Charcoal Finish. 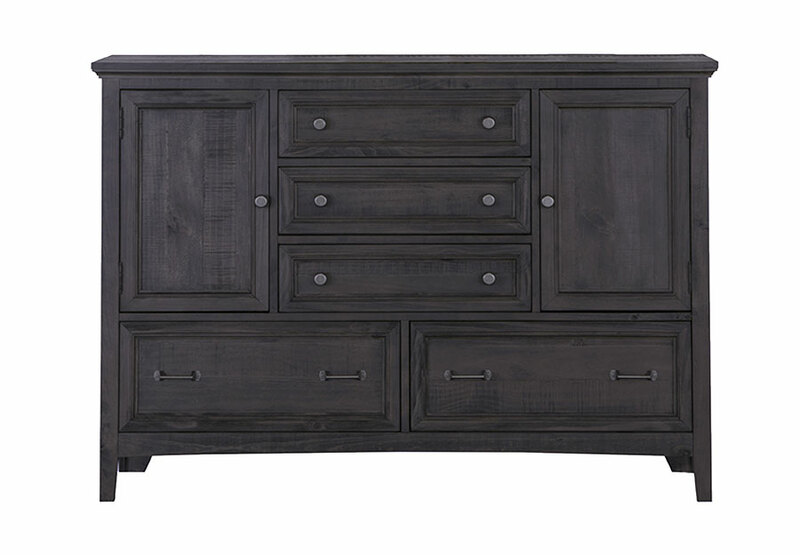 Magnussen Mill River Media Chest, Weathered Charcoal Finish. 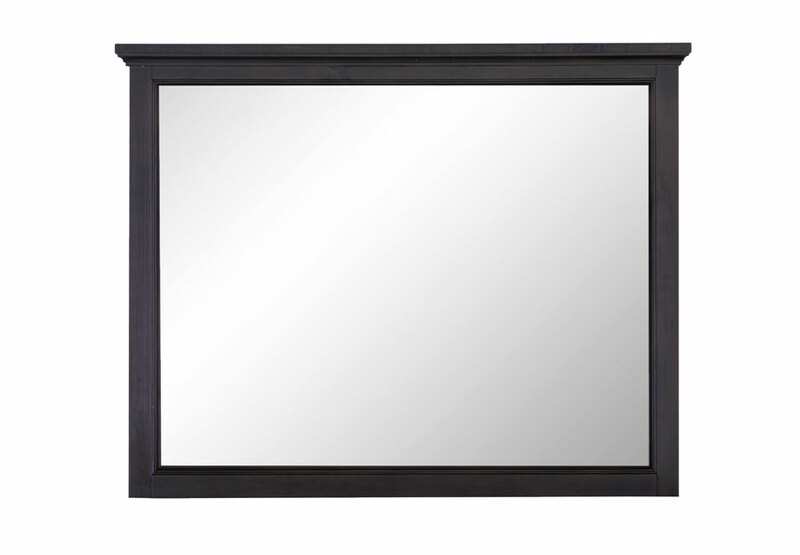 Magnussen Mill River Landscape Mirror, Weathered Charcoal Finish. 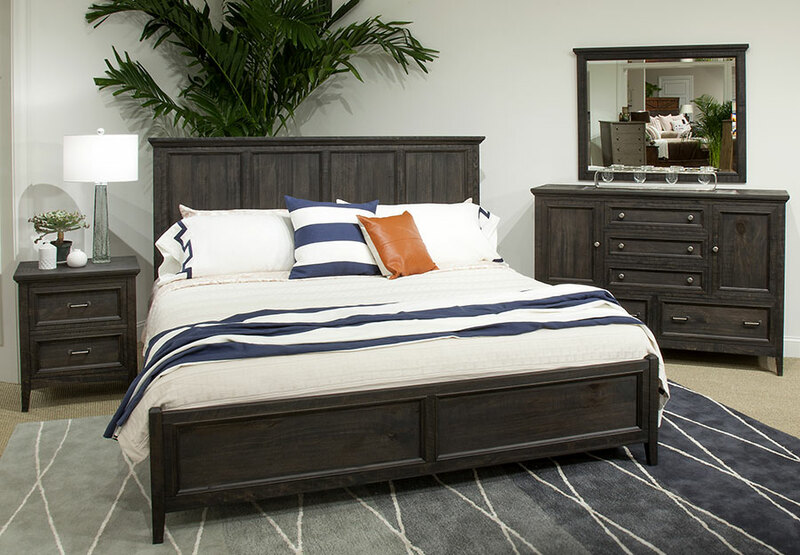 Magnussen Mill River 3 Piece King Bed Set, Weathered Charcoal Finish.